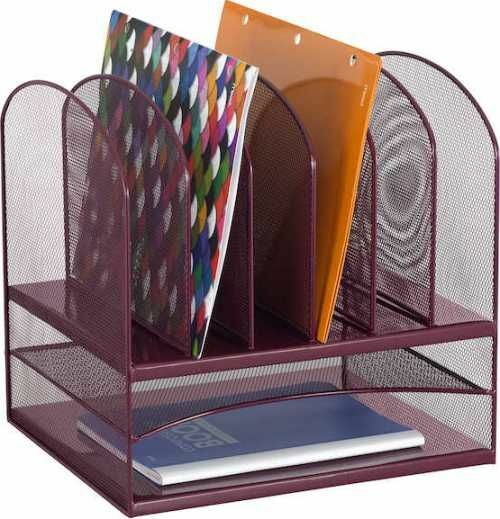 Safco 3255WE Onyx™ 2 Horizontal/6 Upright Sections, Wire mesh desktop organizersrage, Steel mesh design, Two horizontal letter-size file trays, Aids in office supplies organization and file storage, UPC 073555325560, Wine Color. Perfect for the busy executive's office, this onyx desk organizer with letter size trays by Safco will keep your paperwork very well organized. The two horizontal trays on the bottom work impeccably as an inbox and outbox, or for extra file storage. 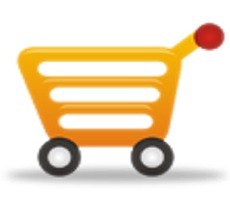 The six vertical trays can be used for binders, folders, letters or other assorted paperwork. Adjustability - Height 13" - 13"